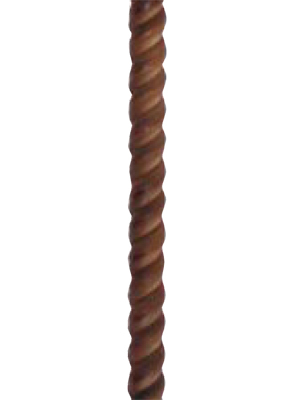 Wood carved barley or rope twist 8 ft tall chuppah in french oak with short moorish twist finials on top of each pole and wood caps on the bottom. Brass hooks are included at the top of each pole to attach the tallit or chuppah cover. This chuppah can be hand-held or screwed into our black steel bases.